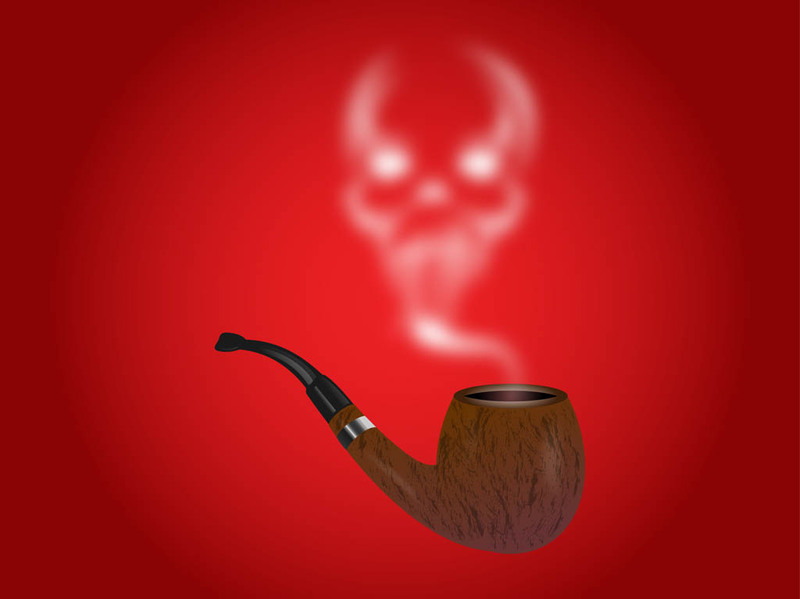 Artistic vector layout with a wooden pipe and skull formed by the smoke. Antismoking graphics with a detailed smoking accessory and smoke in blurred skull shape. Free vector design for smoking, smoke, pipes, tobacco, health, lung diseases, heart conditions and health hazards visuals. Tags: Anti-Smoking, Dead, Original, Scary, Smoke, Smoking, Wood.